Each $33 box contains 36 packs. Each pack contains 6 cards. 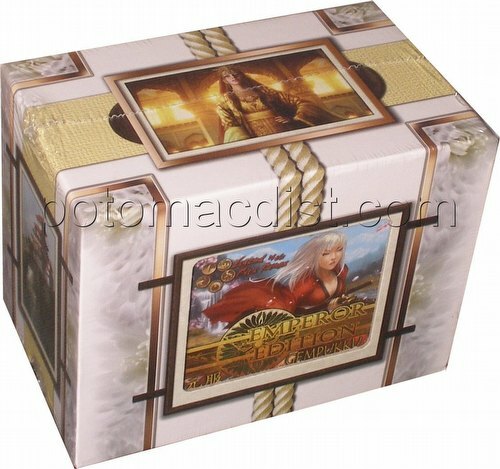 Emperor Edition Gempukku is a reprint of Emperor Edition. Booster boxes contain 36 packs. Each pack contains 6 cards - all rares from all of the expansions in the Emperor Edition Arc - 1 Before the Dawn card, 1 Second City card, 2 Emperor Edition cards, 1 Embers of War card and 1 Seeds of Decay card!